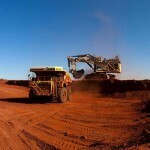 BHP has blamed a collision between two autonomous trucks at the Jimblebar iron ore mine in the Pilbara, Western Australia on wet weather. The March 16 accident followed “significant rainfall that deteriorated road surface, causing one vehicle to slip into the other,” a BHP spokesperson said in a statement. Operations resumed in the hours after the incident and no one was injured. The speed of the two trucks was around 14 kilometres and 27 kilometres per hour, the BHP spokesperson added. 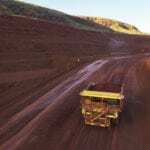 Jimblebar is the first fully autonomous haulage site that BHP Iron Ore established (in November 2017). It was also one of the sites, along with Yandi, Mining Area C, Mt Whaleback and Eastern Ridge, to receive 20 autonomous drills in mid-2017. 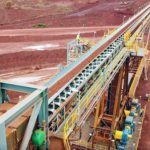 BHP has reported a reduction of more than 80 per cent in significant events year on year due to the integration of automation and other technologies. 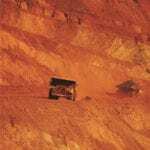 The Jimblebar incident is the second collision between autonomous trucks in the Pilbara in the past two months. Two autonomous trucks also collided at Fortescue Metals Group’s Christmas Creek iron ore mine last month. The company said it was not a failure of the autonomous haulage systems (AHS).